Exquisite green with delicately dip dyed edging. 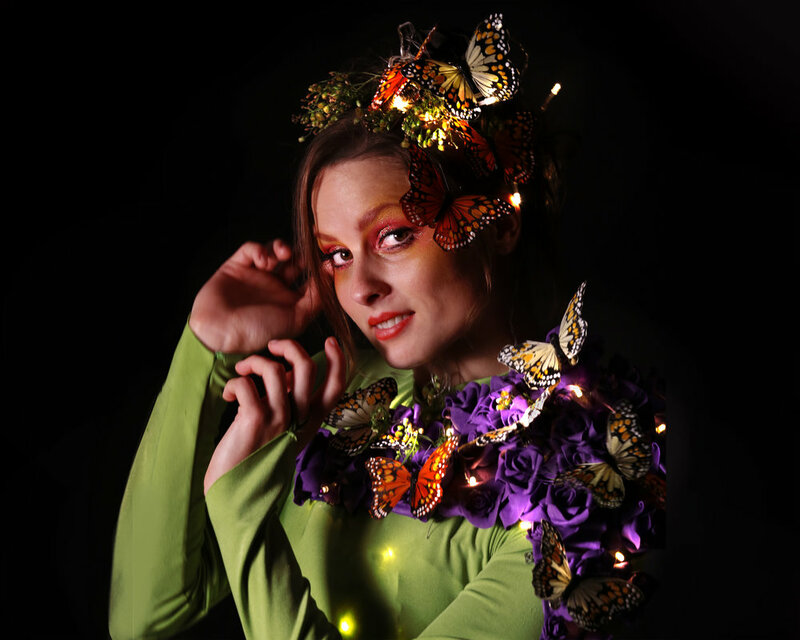 This costume works beautifully for nature themed entertainment forming a wonderful base for flower or enchanted detail, and is also gorgeous for Christmas events, especially when paired with our Optioscope in red. With or without lights, a naturally beautiful butterfly dancer. Just the thing for discerning clients seeking fun company event ideas, street festival performers, or staged and roving entertainment at any event with a stylish contemporary edge. Poetry in motion.